Ford Fiesta is one of the most successful Ford vehicles ever created; since 1976 when it was first launched, it has sold over 16 million units all over the world! Fiesta was first introduced in India in 2005 and has witnessed several makeovers and changes since then. The New 2014 Ford Fiesta was unveiled with a new sleek design, superior technological features and a powerful engine. Trak.in recently got an opportunity to test drive this new version of Ford Fiesta in Bangalore, and the results have blown us away. This new entry level sedan is a definitive head turner and can prove to be a best seller in it’s class. There are four ‘most crucial’ innovations which have been introduced in Ford Fiesta 2014: Design; Technology; Performance and Price. Lets take a look at each of them! Compared to previous versions of Fiesta, the new 2014 model sports a dynamic, vibrant and sleeker design which creates ‘energy in motion’. Right from the leather wrapped steering wheel to the plush interiors and innovative ‘cheetah’ like design gives it a solid look and feel. With the new sleek design, the front part of the car reflects a hint of Aston Martin looks, which is seriously hard to ignore when observed for the first time. As I made myself comfortable at the rear seats, I couldn’t help but notice the extended leg room which the car provides compared to previous versions. Sitting inside this sedan, one can feel the lap of luxury which the car provides as it zoomed it’s way across the roads of Bangalore. 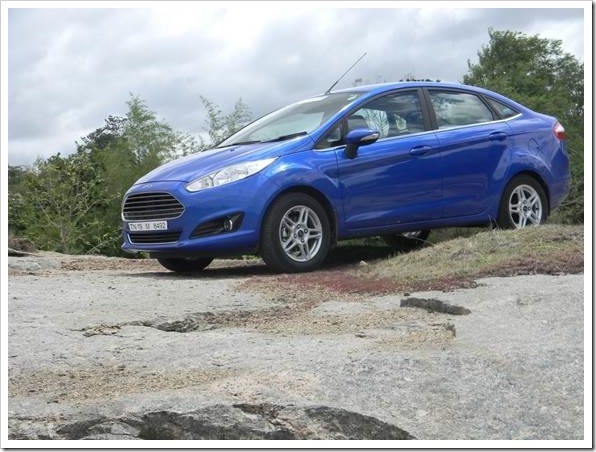 The 2014 Ford Fiesta is the first Ford vehicle in India to be powered by “SYNC with Ford AppLink technology” which has been developed for the technology inclined driving enthusiast. Using its advanced technological features, you can be connected and on the go, always. Using your voice, you can select any song from your playlist, search for nearby restaurants, hospitals, movie theater etc and literally perform any task for which you used your hands earlier. Once your mobile is paired with the car via AppLink technology, you are converted into a geek ninja who can control everything using your voice. Here is a live demo of this technology as witnessed during the Auto Expo 2014. As of now, the car comes equipped with three apps: Map My India; ESPN CricInfo and Glympse. Globally, there are more than 140 application powering this new innovative technology which provides an interface between the driver and the car providing a voice based support system which helps you to concentrate on the road without distraction. You can make/receive calls, check SMS /email and more. For a technologically inclined driving enthusiast, this is the most solid selling point while comparing features with other cars in the same segment. Ford has a dedicated team based in China which is working to make AppLink platform more robust and more diverse. As of now, there are more than 10 million Ford vehicles which are equipped with this advanced technological platform, and in the coming days, lots of new innovations and ideas are expected in this feature. One very important and useful feature which has been introduced via SYNC technology is “Emergency Assistance” in the new 2014 Ford Fiesta series. In case of an accident wherein air bags are opened or fuel pump shuts off, an emergency message will automatically sent across the nearest emergency service providers and a pre-recorded message would be relayed, giving the exact location of the car stranded in emergency. Again, using technology as a platform, Ford has introduced a very useful and practical feature which enhanced the security aspect of this wonderful sedan. 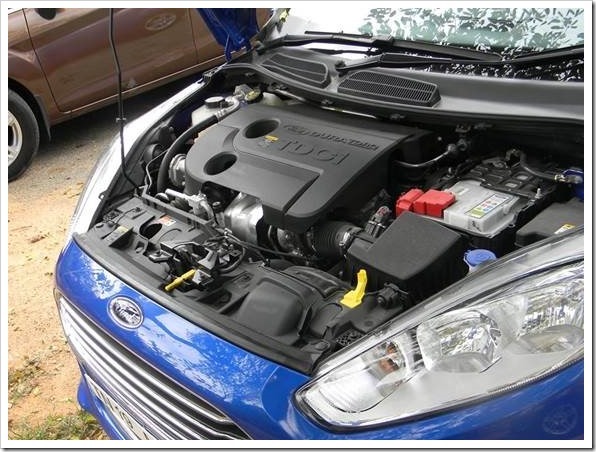 The 2014 Ford Fiesta features 1.5L Duratorq TDCi (Diesel) engine, which promises a mileage of 25.01 Km/hour under standard driving conditions. It can produce 91 PS power along with 204 NM Torque; which means that be it any Indian road, the car will deliver optimal performance with minimum turbulence and shakes. The newly introduced electric power-assisted steering (EPAS) lets you achieve a balance and control even on high speed drives with amazing composure and cool. As we zipped between 150 and 180 km/hr speed on the Bangalore Mysore highway, we felt the complete control and balance which the car provided. Additionally, the Anti-Lock braking System (ABS) is an additional safety measure, in case of sudden braking or unexpected swerving. 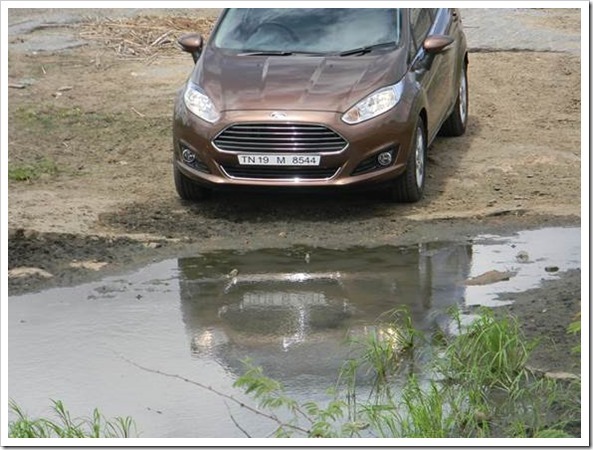 Starting at Rs 7.69 lakh (Ex-showroom price in New Delhi) for the basic Ambiente Model, Ford has priced the new 2014 Ford Fiesta aggressively, considering the price sensitive Indian market. The highest version is priced at Rs 9.29 lakh (Titanium model), which easily makes it the most affordable mid-size premium sedan as of now; and if compared with all the features and options, it makes it the most eligible sedan as well. For a detailed city wise pricing, please refer here. The New 2014 Ford Fiesta is definitely a head turner with it’s all new sleek design and incredible shades. Backed by a technology which is powerful, useful and dependable, this sedan promises a safe, controlled and stunning long drives. 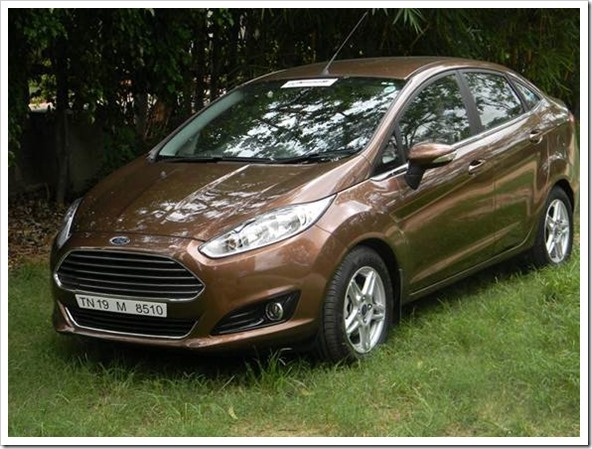 And, with competitive price tag, you should give all new Ford Fiesta a serious thought!